Can produce up 3,300 per hour. Dedicated to producing fluffier and soft rice balls. Industry's smallest, at 4,590 mm long (excludes salter unit, output conveyor). 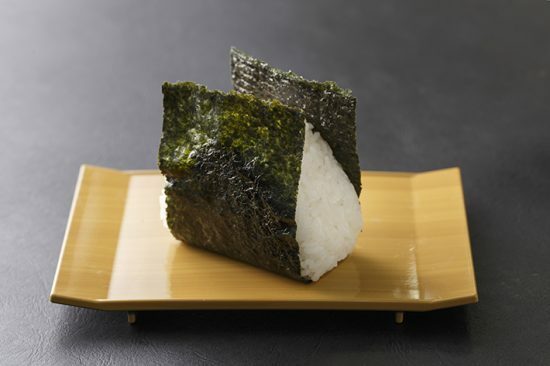 Superb measuring accuracy thanks to use of Suzumo's double sushi rice-measurement system. Equipped to doublecheck to ensure rice balls not missing filling. 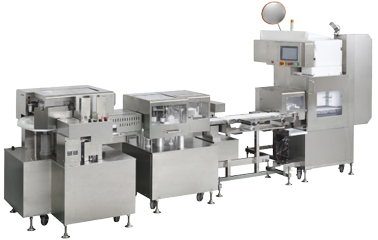 Suzumo's double rice-measurement system improves weight accuracy and yield ratio. Produces delicious rice balls thanks to Suzumo's unique forming mechanism that dispenses the rice in a sheet and softly wraps it around the ingredients. Provides the most compact production line among sheet-style rice-ball makers in the industry! Staves off complaints about filling-less rice balls by double-checking for filling both by camera and weight.